Sony Targeted for Third Hacking Attack? If the chatter coming from certain hacker IRC (Internet Relay Chat) channels is to be believed, Sony could be in for a very long and embarrassing weekend. Already reeling from the attack on its PlayStation Network and another on its Sony Online Entertainment services, CNET has learned that there is chatter amongst hackers that a third attack is scheduled for this weekend. 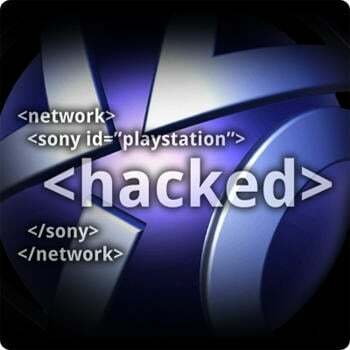 While not potentially as heartbreaking as the PSN going down, apparently the hackers are targeting the Sony website this time around and plan to share what information they obtain with the world, including credit cards and personal details. All of this comes at the same time that Sony CEO Sir Howard Stringer has taken to the official PlayStation blog to apologize for what has transpired before. The company is offering free identity theft protection insurance to PSN users, but if this hack goes off as rumored, they may need to extend it even further. The hackers claim to already have access to some of Sony's servers, but what which parts they claim to have already intruded into is unclear. At this point, I'm not sure it would be so much about what they get away with, but more that Sony, which is supposedly in the middle of a massive overhaul of its security, would still be able to be hacked at this point. Could Sony's reputation take a third hit such as this? Could anyone ever truly feel comfortable again trusting this company with their personal information? Only time will tell on this one, but it's sure to be a long weekend of nail biting at Sony headquarters. What do you think? Can Sony's reputation survive a third attack by hackers?